The 'surrounded by spears' is a very popular cliché in musclemen pictures : there are few ways to stop a very strong man and this is one quick and easy way that works. One of Scott's better films. 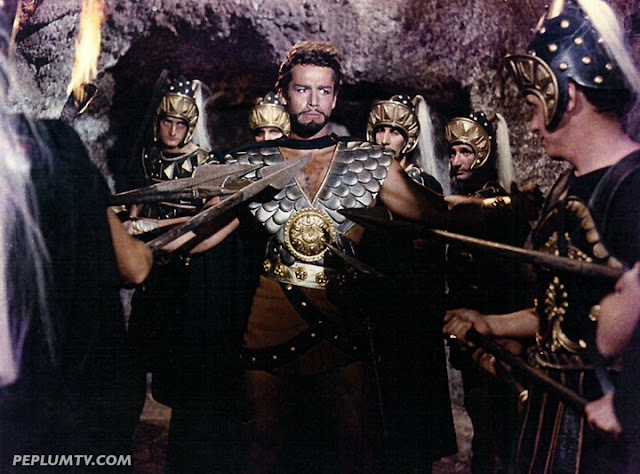 Gordon Scott was a close second to Steve Reeves in terms of being the best male Peplum star.